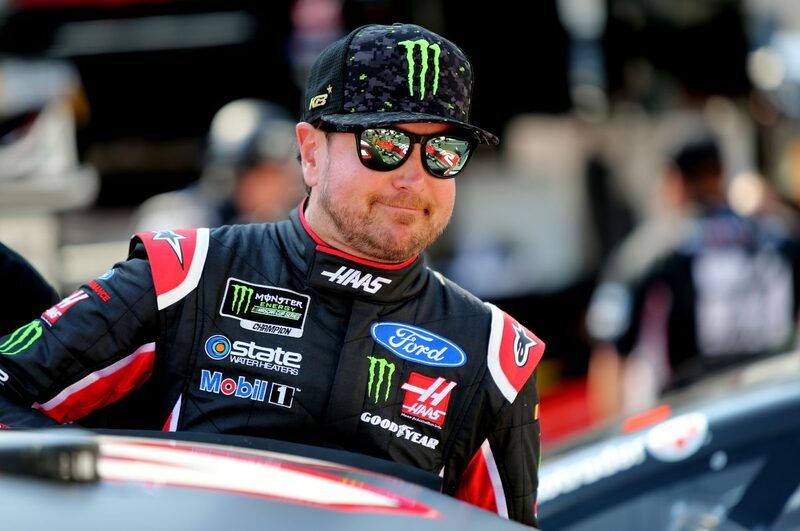 Kurt Busch started second, finished ninth and scored two bonus points. Before the green flag waved on Sunday, the No. 41 Haas Automation/Monster Energy Ford dropped to the rear because the team was forced to a backup car during practice. On lap 47, inclement weather postponed the race for 25 minutes. During the restart, Busch battled his way through traffic to run as high as sixth. Busch took four tires, fuel and adjustments during a final caution and maintained his ninth-place position on the one-lap shootout. Busch started fourth, finished 25th. Busch held theNo. 41 Haas Automation/Monster Energy Ford in the second position before a lap-156 caution. He pitted for four tires and fuel to restart seventh. On lap 190 Busch reported a loose wheel, forcing him to the pits. The crew added four fresh tires and fuel, which put the No. 41 Ford three laps down. The third red flag of the day was raised on lap 204 due to inclement weather, ultimately postponing the race until Monday. Busch started from the 26thposition when racing resumed and gained one spot before Stage 2 ended. Busch started 24th, finished 22nd. The No. 41 Haas Automation/Monster Energy Ford pitted for four tires, fuel and adjustments during a lap-325 caution. Busch gained two more positions before the race concluded. Busch finished ninth in Stage 1 to earn two bonus points. There were 13 caution periods for a total of 114 laps. Only 12 of the 39 drivers in the Food City 500 finished on the lead lap. Kyle Busch won the Food City 500 to score his 45thcareer Cup Series victory, his second of the season and his seventh at Bristol. His margin of victory over second-place Kyle Larson was .628 of a second. The next event on the Monster Energy NASCAR Cup Series schedule is the Richmond 400 on Saturday, April 21 at Richmond (Va.) Raceway. The race starts at 6:30 p.m. EDT with live coverage provided by FOX beginning with a prerace show at 6 p.m.